Four Chicago police officers were among five injured in a crash in the East Garfield Park neighborhood on Friday. 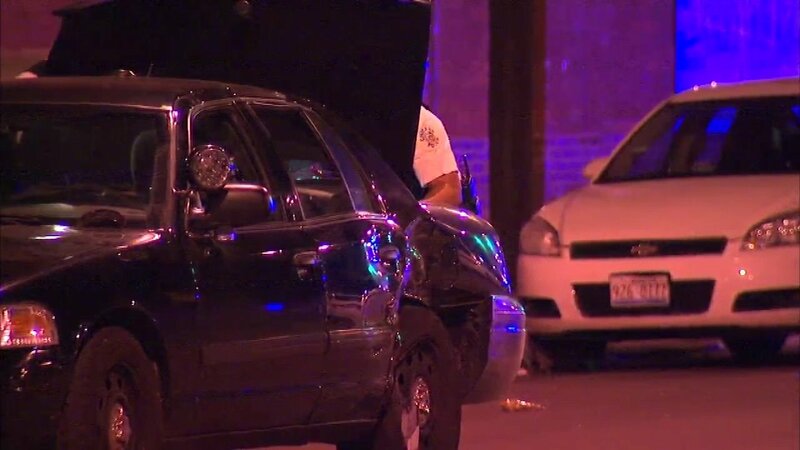 CHICAGO (WLS) -- Chicago fire officials said four Chicago police officers were injured in a two-car crash Friday night. The crash was between a civilian vehicle and a CPD squad car at West Madison Street and South Sacramento Avenue in the city's East Garfield Park neighborhood. Two officers were taken to Stroger Hospital in critical condition, and two officers were taken to Stroger in serious condition, fire officials said. One civilian was taken in serious condition to Mt. Sinai Hospital. Fire officials said four people refused treatment at the scene. No details about the cause of the crash have been released.